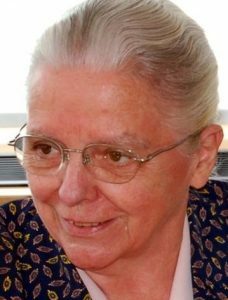 Photo: Humanitarian nun Jeanne Devos in 2007. Photo by Steven Fruitsmaak accessed on Wikimedia Commons. 1) Belgian – Flanders (Dutch) represents 222 unrelated individuals from different parts of Belgium, mostly from the Dutch speaking region (Flanders) who were sampled in 2004 by the laboratory for Forensic Genetics and Molecular Archaeology, K.U. Leuven, Campus Gasthuisberg, Belgium. 2) Belgian – Flemish represents 231 unrelated Flemish individuals (Dutch speaking people of the northern half of Belgium) who were sampled in 2005 by the Antwerp University Hospital in Edegem, Belgium. Source publication:Belgian population data for 15 STR loci (AmpFlSTR SGM Plus and AmpFlSTR profiler PCR amplification kit), FSI, 2004, p211-213. Flemish population genetic analysis using 15 STRs of the Identifiler kit, Progress in Forensic Genetics 11, 2006, p328-330.